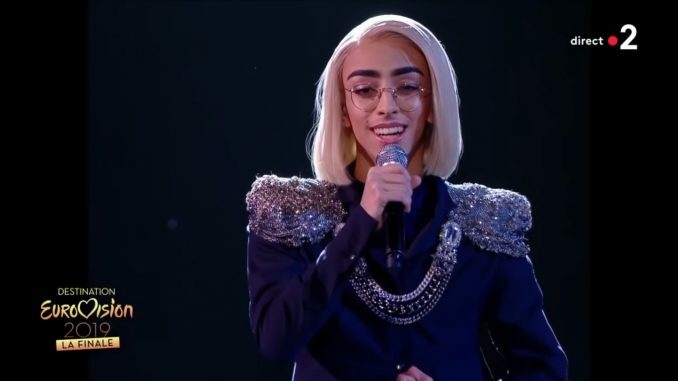 Bilal Hassani has won the national selection Destination Eurovision with his song Roi. He will now represent France at the 2019 Eurovision Song Contest to be held in Tel Aviv, Israel. You can read back our live blog of the show here. After the jury votes, Bilal was sitting in 5th position on an underwhelming 50 points. However, the French public saved him with an enormous total of televotes. He received 150 points from televoting, bringing him into first place with a total of 200 points. 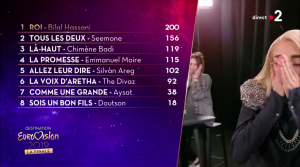 Seemone finished in second position with 156 points after originally winning the jury vote. Chimène Badi rounded out the top three with her song Là-Haut.